The United Kingdom, which includes England, Scotland, Wales, and Northern Ireland, is an ideal honeymoon destination, full of history, culture, and lots of fun. The United Kingdom, which includes England, Scotland, Wales, and Northern Ireland, is an ideal honeymoon destination, full of history, culture, and lots of fun. A UK honeymoon allows you to travel to several different countries, and you’re close enough to other European destinations, such as Paris and Southern Ireland, that you can easily and affordably jet set around Europe. 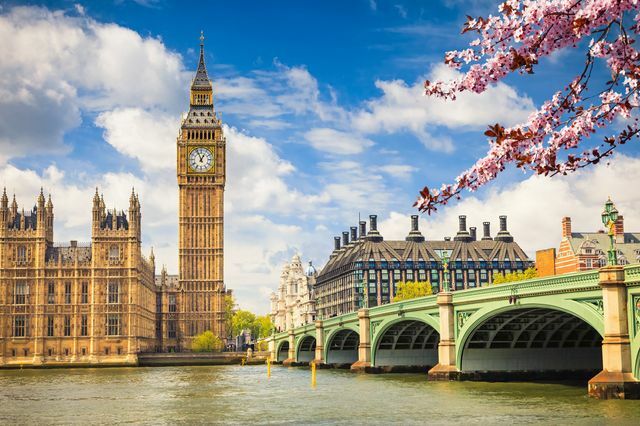 Whether you’re looking for a UK honeymoon that’s full of adventure or a more relaxing vacation, the United Kingdom offers a variety of attractions and experiences ideal for an unforgettable trip of a lifetime. Planning a UK honeymoon? Here’s all the information and travel tips you’ll need to know. The United Kingdom is indeed a popular tourist destination, but it isn’t known for having the more desirable weather (hello, fog and rain!). However, there are certain times of year when you have a better chance of encountering decent weather than others. The late spring and summer in particular is a great time of year to enjoy a UK honeymoon—it may be a bit more crowded and expensive, though. To avoid crowds, you may wish to visit earlier in the spring or in the fall. No honeymoon in England is complete without a stay in London. If you’re planning a London honeymoon, be sure to pack comfortable shoes (and an umbrella!) as there are so many sites to see—and London is such a walkable city. A few of our favorite London attractions include watching the changing of the guard at Buckingham Palace (and see if you can spot the Queen! ), visiting the Tower of London, and checking out the culinary delights at Borough Market. You may also want to take one of those famous red double-decker buses for a tour to get a lay of the land. Day trips to sites such as Stonehenge can be a great addition to your London honeymoon. 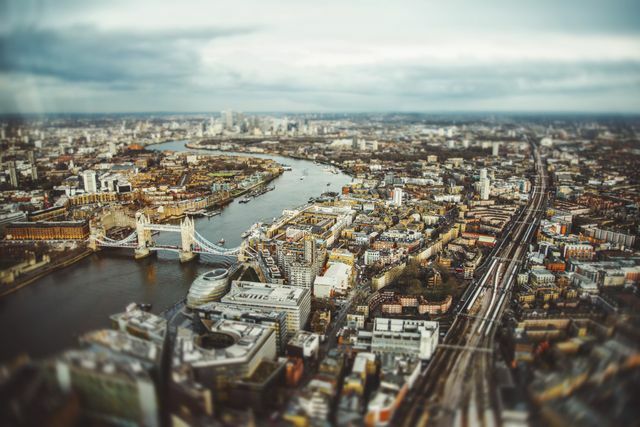 While London may be the most popular destination for honeymoons in England, there are lots of other cities and areas that are worth a visit. The Lake District is a mountainous area in Northwest England, and an ideal destination for nature-lovers. History buffs will delight in visiting the Cotswolds, with its scenic rolling hills and Old World feel. If you and your new spouse are bibliophiles (or maybe have just seen Shakespeare in Love a few too many times), a trip to Stratford-upon-Avon—also known as Shakespeare’s birthplace—is a must. 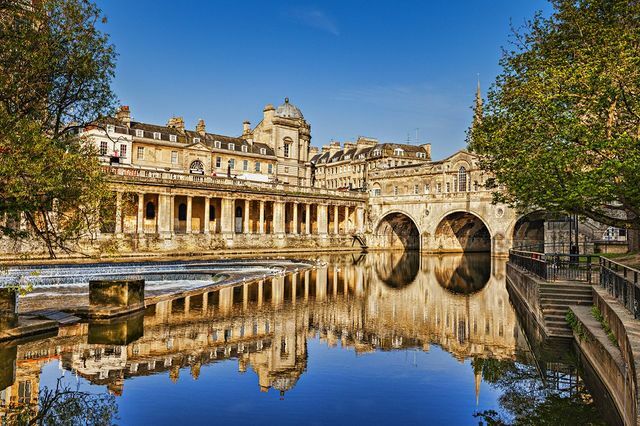 Bath is another popular destination, famous for its hot springs and 18th-century architecture. Other beloved destinations you might want to explore for your UK honeymoon include Brighton, Cornwall, Cambridge, Yorkshire, and many more. With its vast natural beauty and numerous historic sites, Scotland is becoming a popular spot for honeymoons in its own right. If you’re planning a Scotland honeymoon, it’s a good idea to start in Edinburgh, where you’ll find Edinburgh Castle and lots of fun festivals (especially if you’re traveling in the summertime). Glasgow is another popular city for Scotland honeymoons. It’s known for its art and culture scene, as well as its historic architecture. 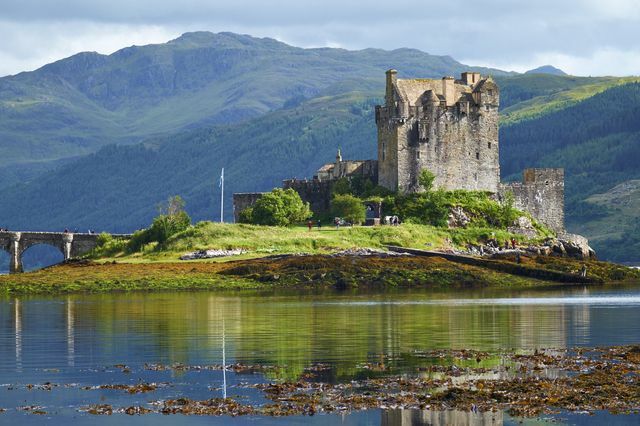 If you want your Scotland honeymoon to be a mix of the city and more pastoral settings, be sure to visit the stunning Isle of Skye and the Scottish Highlands for incredible scenery. Wales is a relatively small country, but it offers a truly rich and unique experience for your UK honeymoon. Much of the country looks like something straight out of a storybook. For example, Brecon Beacons National Park is full of lush greenery, and Llŷn Peninsula has a serene seaside charm. Adventurous couples will love the plethora of outdoor activities available, including white water rafting in Cardiff and hiking in Anglesey. Northern Ireland is part of the United Kingdom, while Southern Ireland is politically sovereign. In Northern Ireland, Belfast is a must-visit for music-loving couples. You’ll also want to visit the Titanic Belfast, a famed museum dedicated to the sunken ship. Couples looking for incredible scenery will want to drive the Causeway Coastal Route or hike Hare’s Gap. Game of Thrones fans will need to pay a visit to the locations where the show is filmed, including Castle Ward and Ballintoy Harbour.